Violet, anise, mint and black licorice dominate before a deep core of fruit takes hold: spiced plum and blackberry, black currant and black cherry, bold and direct. The flavors follow the aromas, dark and almost impenetrable. Immediate plush texture and wave upon wave of succulent fruit. Broad, deep and concentrated but retaining delicacy, poise, and wonderful purity. Fresh pine scents and bay leaf complexity constantly flicker and fade. 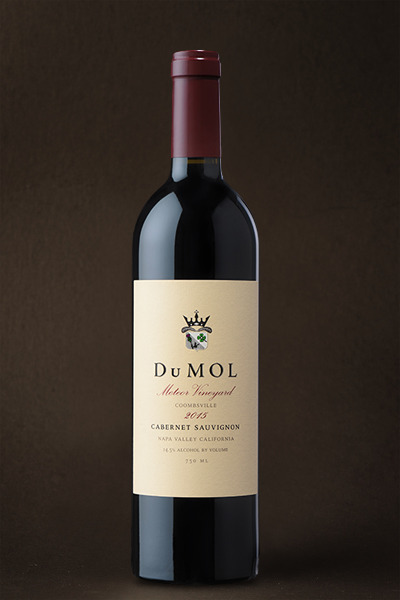 Focused acidity brings dimension and enveloping tannins add presence to the mouth-watering finish. Brilliant wine. An exciting small bottling from one of the finest vineyards in the Coombsville district whose burgeoning reputation for style and profound quality gain traction with every vintage. Local winemakers have long appreciated this cool district in southeastern Napa close to the bay, known for its porous volcanic soils and dark succulent, aromatic wines of noteworthy intensity. Meteor Vineyard sits on rocky volcanic ash on a prominent knoll top in the center of the appellation in the shadow of the ancient volcano’s caldera. This wine is our most fruit-driven Cabernet of the vintage, offering astonishing fruit purity, layers of cool dark savory complexity and a finish that seems never-ending. There’s a weightless density to the wine that is incredibly appealing and a mineral-drenched palate that elevates the wine well above a crowd of simple fruity warmer-climate bottlings. You can age this for 15+ years but it's so delicious now, why wait?